Sicilian version of everyone's favourite sauce, made using tomatoes and red pepper. Pesto pasta is a popular Italian dish that many people rave about. 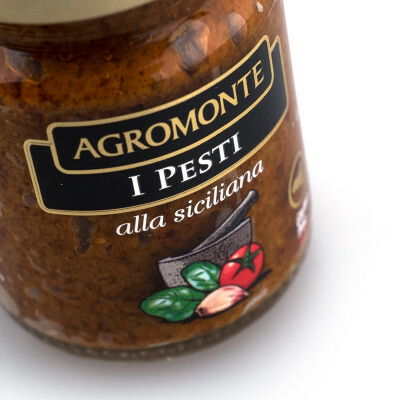 But what not they may not know is that the typical green pesto comes from Genoa, and it's red-coloured cousin comes from an area much farther south: Sicily. Sicilian cuisine is generally characterised as having more punch and spice than northern cuisine, and this fiery coloured sauce is no exception, with the locals adding cherry tomatoes and red pepper. 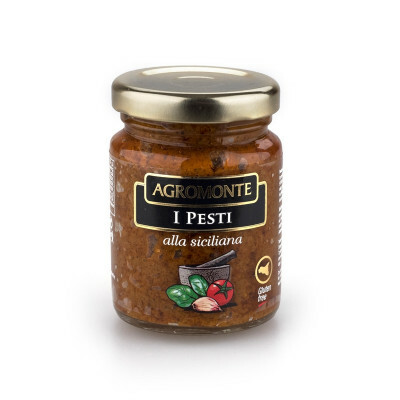 Evoking the heart of the region's Mediterranean cuisine, red pesto goes great with crusty bread, pasta, fish, pork or poultry, and is a great alternative to its much-loved counterpart. Dried cherry tomato(45%), sunflower oil, basil(15%), salt, red chilly pepper, garlic. Acidity regulator: citric acid . Antioxidant: ascorbic acid.